Tue., June 13, 2017, 10:46 a.m. The scope and sophistication so concerned Obama administration officials that they took an unprecedented step – complaining directly to Moscow over a modern-day “red phone.” In October, two of the people said, the White House contacted the Kremlin on the back channel to offer detailed documents of what it said was Russia’s role in election meddling and to warn that the attacks risked setting off a broader conflict. The new details, buttressed by a classified National Security Agency document recently disclosed by the news website Intercept, show the scope of alleged hacking that federal investigators are scrutinizing as they look into whether Trump campaign officials may have colluded in the efforts. But they also paint a worrisome picture for future elections: The newest portrayal of potentially deep vulnerabilities in the U.S.’s patchwork of voting technologies comes less than a week after former FBI Director James Comey warned Congress that Moscow isn’t done meddling. An FBI spokeswoman in Washington declined to comment on the agency’s probe. Russian officials have publicly denied any role in cyber attacks connected to the U.S. elections, including a massive “spear phishing” effort that compromised Hillary Clinton’s campaign and the Democratic National Committee, among hundreds of other groups. 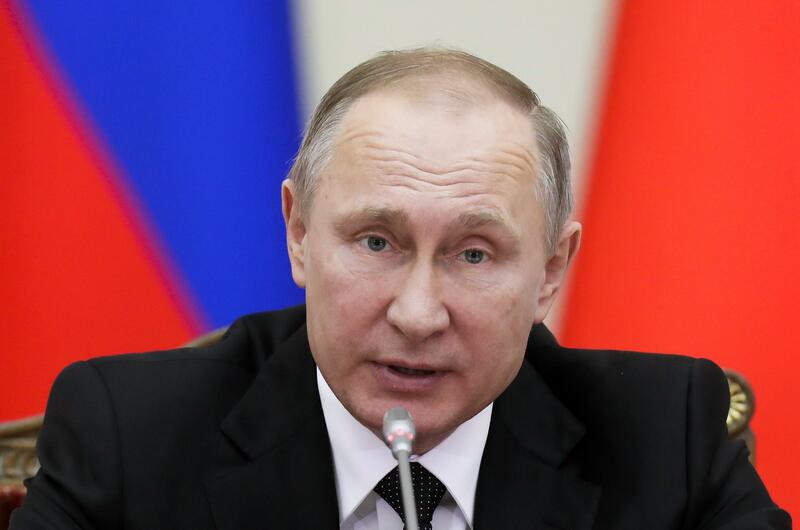 Russian President Vladimir Putin said in recent comments to reporters that criminals inside the country could have been involved without having been sanctioned by the Russian government. One mystery about the 2016 presidential election is why Russian intelligence, after gaining access to state and local systems, didn’t try to disrupt the vote. One possibility is that the American warning was effective. Another former senior U.S. official, who asked for anonymity to discuss the classified U.S. probe into pre-election hacking, said a more likely explanation is that several months of hacking failed to give the attackers the access they needed to master America’s disparate voting systems spread across more than 7,000 local jurisdictions. Such operations need not change votes to be effective. In fact, the Obama administration believed that the Russians were possibly preparing to delete voter registration information or slow vote tallying to undermine confidence in the election. That effort went far beyond the carefully timed release of private communications by individuals and parties. One former senior U.S. official expressed concern that the Russians now have three years to build on their knowledge of U.S. voting systems before the next presidential election, with every reason to believe they will use what they have learned in future attacks. As the first test of a communication system designed to de-escalate cyber conflict between the two countries, the cyber “red phone” — not actually a phone but a secure messaging channel for sending urgent messages and documents — didn’t work quite as the White House had hoped. NBC News first reported that use of the red phone by the White House last December. Illinois, which was among the states that gave almost full access to the FBI and the Department of Homeland Security to investigate its systems, provides a window into the hackers’ successes and failures. The state does, however, process online voter registration applications that are sent to the counties for approval, Menzel said. When voters are added to the county rolls, that information is then sent back to the state and added to the central database. This process, which is common across states, is an opportunity for attackers to manipulate records at their inception. Using evidence from the Illinois computer banks, federal agents were able to develop digital “signatures” – among them, Internet Protocol addresses used by the attackers – to spot the hackers at work. The signatures were then sent through Homeland Security alerts and other means to every state. Thirty-seven states reported finding traces of the hackers in various systems, according to one of the people familiar with the probe. In two others – Florida and California – those traces were found in systems run by a private contractor managing critical election systems. Published: June 13, 2017, 10:46 a.m.